Realme is hitting the tech headlines of late as it is likely working on another smartphone. 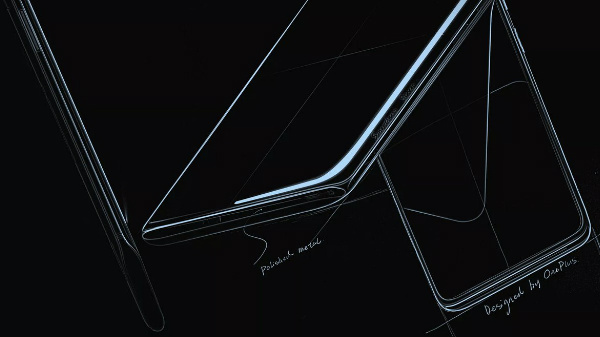 And, there are speculations that the upcoming device could be dubbed Realme 3. Now, an unknown smartphone from the company has been spotted on the Geekbench database hinting that its launch could be nearing. Well, the Geekbench listing shows a new smartphone with the model number RMX1833. From the listing, we can see that this smartphone is powered by an octa-core MediaTek Helio P60 SoC based on the 12nm process. Notably, it is the same processor that is used by the company's first smartphone - the Realme 1. But the company opted to use Snapdragon chipsets in its later launches - Realme 2, Realme 2 Pro and Realme C1. 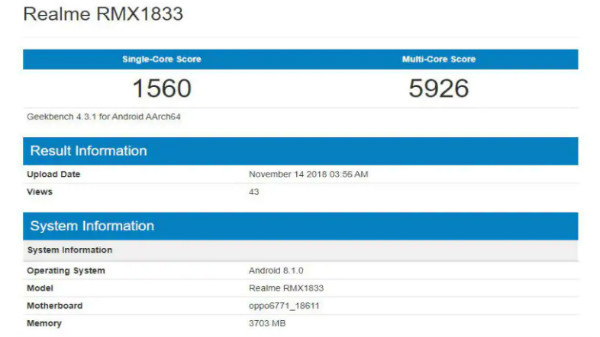 In addition to the processor, the benchmark listing also shows that this upcoming Realme smartphone might arrive with 4GB RAM and run Android 8.1 Oreo out of the box. Notably, you can see the screenshot of the same in the image above. Going by the same, the yet-to-be-announced smartphone appears to have managed to score 1560 points in the single-core test and 5926 points in the multi-core test. Earlier today, we came across a report regarding a new smartphone alleged to be dubbed Realme U. This device belonging to the new lineup of smartphones from the company is likely to be launched as a selfie-centric device. 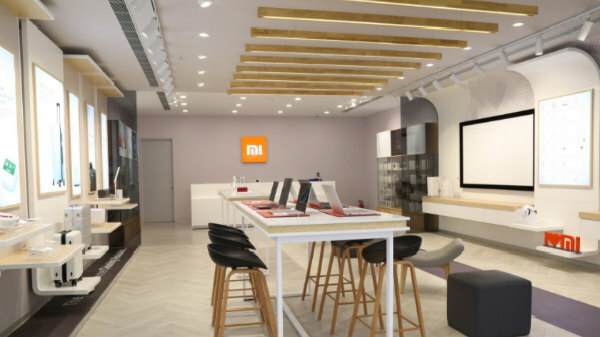 It is also believed to be launched with a MediaTek Helio P70 processor, which was already confirmed by the company soon after the launch of the device at the Indian Mobile Congress. In addition to this, Realme CEO had already taken to Twitter to confirm that the company's upcoming device will arrive with the VOOC flash charging that supports 5V 4A charging. 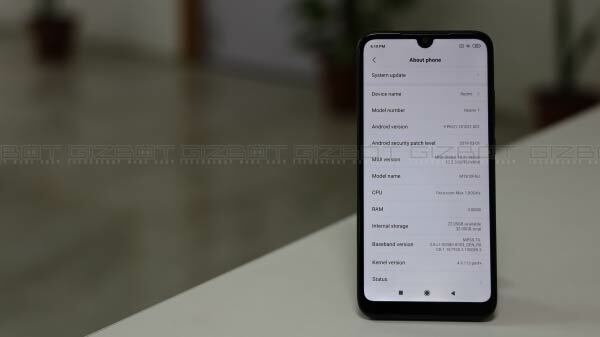 However, there is no clarity regarding which smartphone will have this feature - will it be the Realme U or the Realme 3? We need to wait for further clarity regarding the same.